Is Syria the domino that will trigger a global economic collapse? Have you been paying attention to what has been happening in Argentina, Venezuela, Brazil, Ukraine, Turkey and China? If you are like most Americans, you have not been. Most Americans don't seem to really care too much about what is happening in the rest of the world, but they should. For Dominga Kanaza, it wasnâ€™t just the soaring inflation or the weeklong blackouts or even the looting that frayed her nerves. #8 Art Cashin of UBS is warning that credit markets in China "may be broken". For much more on this, please see my recent article entitled "The $23 Trillion Credit Bubble In China Is Starting To Collapse â€“ Global Financial Crisis Next?" #11strong> The value of the Turkish Lira is absolutely collapsing. #17 CNBC is reporting that U.S. retailers just experienced "since 2008">the worst holiday season since 2008". Get ready for the next era in retailâ€”one that will be characterized by far fewer shops and smaller stores. I have been sharing my analysis of the impending situation in Syria and the Middle East with a few of my friends. I have been praying and hoping that our leaders would stand down, but it appears more and more likely this will not happen. This being the case, I feel compelled to share my thoughts with a broader audience. I will be sharing these thoughts below and then I will share two internet news articles that strongly support what I have been saying. What I am going to share has many facets and I will say right now that I pray my conclusions are wrong. The United States has been acting as the world cop for some time now. This has been building up a great amount of resentment towards America and the day has to come when America will be reduced from being the world’s number one Super Power. I say this from a Bible Prophecy perspective; America is not going to be a major player in the coming tribulation years according to the Bible. So the question I must pose is, “What would be a worst case scenario if America attacks Syria?” Syria and its ally Iran are enemies of Israel and these two nations have pledged to support each other in the event of war. Iran has many times threatened to bomb ships passing through the Straits of Hormuz, and this could block all oil tanker traffic passing through this water way. This shipping lane has 20% of the worlds oil supply passing through it daily. This event alone could cause the price of oil to double and this would be a serious blow to an already weak economy in the US. Syria has threatened that if the US attacks them, they are prepared to retaliate and they are prepared to attack Israel. These threats could also spill over as terrorist attacks on our soil. The United States right now is looking at going into this conflict alone. Our attacking Syria has not been approved by the United Nations and last week the British voted down supporting this conflict in any way. The biggest effect this vote will have is we will no longer be able to use the bases in Cypress to launch our attack. We will have to bring our Carriers and support vessels into the Mediterranean Sea and this will bring our Carriers and support vessels close enough to be hit with missiles. The second facet to all this is, if we launch an attack against Syria, Syria will launch an attack against Israel. With the more sophisticated missiles that have been given to Syria by the Russians, could it be possible that Israel could be pushed back against a wall far enough that they would use what is called the “Sampson Option” the use of nuclear weapons to bush their adversary back far enough that the attacking enemy would have to back off. Now an interesting thought that his occurred to me is. If Syria was to destroy the attack capability of our fleet in the Mediterranean Sea, could it be possible that it would be the US that would retaliate with the use of a nuclear bomb? For those who are not versed on Bible Prophecy. The Bible predicts that the day will come when Damascus will be destroyed, never to be inhabited again. Damascus is the hub of all that is happening in Syria today. Isaiah 17:1 “See, Damascus will no longer be a city, but will become a heap of ruins.” This prophecy is yet to be fulfilled. I believe the reason Damascus will no longer be a city and not rebuilt, will be because this city will be destroyed by a nuclear bomb and will be to contaminated to be lived in. The third facet to all of this is the most frightening. If The Bible prophecy that says Damascus will be destroyed is fulfilled in the coming weeks or months, the effect this could have on the world will be devastating. When a nuclear bomb goes off in the Middle East, weather it is released by Israel or the US, It will cause the world to believe that WW3 is about to start. What effect will this have? Based on Bible prophecy, this will not be the timing for the Battle of Gog and Magog, nor will it be the timing for the Battle of Armageddon. What will happen though is people around the globe will believe it is one of the last day wars or that it is just the beginning of WW3. Christians in America will start to wonder where is the Rapture. These same Christians and non Christians will realize that a storm is coming and they need to stock up on food and supplies for what is soon coming. Think about what happens when a snow storm or even Hurricanes are forecasted. Your grocery stores are slammed with customers and the shelves are emptied in hours. Imagine a line of customers lining up outside of CostCo stores waiting their turn to get in, hoping to find food still on the shelves. I have read that only 3% of Americans are what you would call preppers getting ready for the hard times that could lie ahead. I have also heard that the prepping industry that is packaging long term storage food and supplies can only supply up to 5% of the American population. What will happen if all of a sudden 20 to 50% of Americans realize there is a huge storm to prepare for. I believe the system that supplies all food to America would be overwhelmed in days. This would lead to food shortages, rationing and rioting. This fear would cause people to watch were every dime was spent and restaurants would close within days. Other businesses would soon follow and go out of business. All that I am saying would lead to rioting, because not only will all the millions on food stamps not be able to get food, but just average Americans will not be able to get food. Below are two recent news articles that support a lot of what I am saying. These articles are from non Christian sources but support the prophecies of the Bible. September 03, 2013 "Information Clearing House - Russia has sold Syria highly advanced rocket launchers, anti-aircraft missiles and anti-ship missiles. In fact, the P-800 Yakhont anti-ship missiles that Russia has equipped Syria with are the most advanced anti-ship missiles that Russia has. When the United States strikes Syria, they might be quite surprised at how hard Syria can hit back. The Syrian military is the most formidable adversary that the U.S. military has tangled with in the Middle East by far. From Syria, P-800 Yakhont anti-ship missiles can cover much of the eastern Mediterranean and can even reach air bases in Cyprus. If the U.S. Navy is not very careful to stay out of range, we could easily see footage of destroyed U.S. naval vessels sinking into the Mediterranean Sea on the evening news. And once the American people see such footage, it will be impossible to stop a full-blown war between the United States and Syria. According to the report from Syrian-based Dam Press and the Dyar Newspaper, the Russians aren’t backing off their Syria policy and they are getting ready to double down by supplying Assad’s military with weapons the world has never before been seen in the middle east. The missiles are about 22 feet long, carry either a high-explosive or armor- piercing warhead, and have a range of about 180 miles, according to Jane’s. The San Antonio was originally to be in the Mediterranean as part of a long- scheduled commitment to support U.S. Africa Command, several officials said. The ship was on its way to a port call at the U.S naval base at Souda Bay on the Greek Island of Crete when it was ordered to remain in the area. Do you think that there is any chance that we will be able to avoid a full- blown war at that point? For years now at Alt-Market (and Neithercorp.us) I have carefully outlined the most likely path of collapse to take place within the U.S., and a vital part of that analysis included economic destabilization caused by a loss of the dollar's world reserve status and petro-status. I have also always made clear that this fiscal crisis event would not occur in the midst of a political vacuum. The central banks and international financiers that created our ongoing and developing disaster are NOT going to allow the destruction of the American economy, the dollar, or global markets without a cover event designed to hide their culpability. They need something big. Something so big that the average citizen is overwhelmed with fear and confusion. A smoke and mirrors magic trick so raw and soul shattering it leaves the very population of the Earth mesmerized and helpless to understand the root of the nightmare before them. The elites need a fabricated Apocalypse. But what is the goal here...? Many U.S. allies will refrain from immediate participation in an attack on Syria. Obama will continue unilaterally (or with the continued support of Israel and Saudi Arabia), placing even more focus on the U.S. as the primary cause of the crisis. Obama will attempt to mitigate public outcry by limiting attacks to missile strikes, but these strikes will be highly ineffective compared to previous wars in Iraq and Afghanistan. A no fly zone will be established, but the U.S. navy will seek to stay out of range of high grade Russian missile technology in the hands of Syria, and this will make response time to the Syrian Air Force more difficult. Expect much higher American naval and air force casualties compared to Iraq and Afghanistan. Iran will immediately launch troops and arms in support of Syria. Syria will become a bewildering combat soup of various fighting forces battling on ideological terms, rather than over pure politics and borders. Battles will spread into other countries, covertly and overtly, much like during Vietnam. Israel will probably be the first nation to send official ground troops into Syria (and likely Iran), citing a lack of effectiveness of U.S. airstrikes. American troops will follow soon after. Iran will shut down the Straight of Hormuz sinking multiple freighters in the narrow shipping lane and aiming ocean skimming missiles at any boats trying to clear the wreckage. Oil exports through the straight of Hormuz will stop for months, cutting 20% of the world's oil supply overnight. The Egyptian civil war, now underway but ignored by the mainstream, will explode due to increased anger over U.S. presence in Syria. The Suez Canal will become a dangerous shipping option for oil exporters. Many will opt to travel around the Horn of Africa, adding two weeks to shipping time and increasing the cost of the oil carried. Saudi Arabia will see an uprising of insurgency that has been brewing under the surface for years. Gasoline prices will skyrocket. I am predicting a 75%-100% increase in prices within two-three months of any strike on Syria. Travel will become difficult if not impossible with high gasoline costs. What little of our economy was still thriving on vacation dollars will end. Home purchases will fall even further than before because of the extreme hike in travel expenses required for families to move. Russia will threaten to limit or cut off all natural gas exports to the EU if they attempt to join with the U.S. in aggression against Syria. The EU will comply due to their dependency on Russian energy. Russia will position naval forces in the Mediterranean to place pressure on the U.S. I feel the possibility of Russia initiating direct confrontation with the U.S. is limited, mainly because countries like Russia and China do not need to engage the U.S. through force of arms in order to strike a painful blow. China and Russia will finally announce their decision to drop the dollar completely as the world reserve currency. A process which already began back in 2005, and which global banks have been fully aware of for years. Because of China's position as the number one exporter and importer in the world, many nations will follow suit in dumping the dollar in bilateral trade. The dollar's value will implode. China, Russia, and the war in Syria will be blamed, and global banks including the Federal Reserve will be ignored as the true culprits. The combination of high energy prices and a devaluing dollar will strike retail prices hard. Expect a doubling of prices on all goods. Look for many imported goods to begin disappearing from shelves. Homelessness will expand exponentially as cuts to welfare programs, including food stamps, are made inevitable. However, welfare will not disappear, it will merely be “adjusted” to fit different goals. The homeless themselves will be treated like criminals. The roaming bands of jobless drifters common during the Great Depression will not exist during a modern crisis. State and Federal agencies will pursue an “out of sight, out of mind” policy towards the indigent, forcing them into “aid shelters” or other bureaucratic contraptions designed to conditioning the homeless to accept refugee status, making them totally dependent on federal scraps, but also prisoners on federally designated camps. Terrorist attacks (false flag or otherwise) will spread like wildfire. Israel is highly susceptible. The U.S. may see a string of attacks, including cyber attacks on infrastructure. Syria and it's supporters will be blamed regardless of evidence. The White House will begin broad institution of authoritarian powers, including continuity of government executive orders, the Patriot Act, the NDAA, etc. Martial Law may not even be officially declared, but the streets of America will feel like martial law none the less. False paradigms will flood the mainstream as the establishment seeks to divide American citizens. The conflict will be painted as Muslim against Christian, black against white, poor against rich (but not the super rich elites, of course). Liberty Movement activists will be labeled “traitors” for “undermining government credibility” during a time of crisis. The Neo-Conservatives will place all blame on Barack Obama. Neo-Liberals will blame conservatives as “divisive”. Liberty Movement activists will point out that both sides are puppets of the same international cabal, and be labeled “traitors” again. The establishment will try to coax Americans into turning their rage on each other. The Homeland Security apparatus will be turned completely inward, focusing entirely on “domestic enemies”. The domain of the TSA will be expanded onto highways and city streets. Local police will be fully federalized. 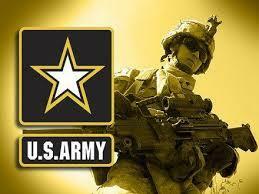 Northcom will field soldiers within U.S. border to deal with more resistant quarters of the country. Totalitarianism will become the norm. When I first read this article, I thought how could I prove if this was factual information. I called a friend of mine and told him about it and he told me he had seen it as well and then he told me that Glen Beck on the Blaze talked about this article and had his people investigate it and they came back saying this is true. Where is PETA? Where is the Sierra Club? Where is the EPA? There is a new endangered species on the planet and heads of state, like President Obama, are joining in the persecution of this group. 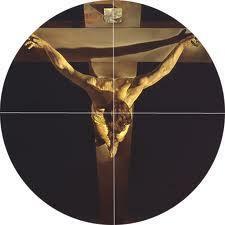 The most persecuted species on the planet are Christians. 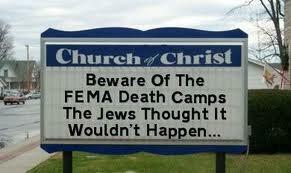 Obama is the lion-master and the FEMA camps are the future cages of Christians. As the Bible teachers, there are sins of omission and sins of commission. Obama’s persecution of Christians is exemplified in both domains. In foreign affairs, where Obama could exert diplomatic leverage against foreign governments for failing to protect Christians from both property damage and murder, Obama commits sins of omission by pretending not to notice. Here is America, the persecution of Christians have decidedly entered the early stage and the Obama minions at DHS and his other agencies have begun demonize Christians with inventive labels such “sovereign citizens.” Under Obama’s leadership, Christians are being placed on various terror watch lists as evidenced by briefings conducted on behalf of federal agencies in their training of local law enforcement personnel. America is becoming the North Korea where families who do not display their leader’s photo in the most prominent place in the house and fail to cry enough at state funerals, as well not enthusiastically joining into state parades deifying their hallowed leader, are sent to re-education camps. Obama knows that Christians will not support his infanticide policies, his war-mongering and his blatant attacks on Christians worldwide. Obama recently pronounced that various groups in Iraq are living peacefully and in harmony. This is a boldfaced lie because Christians in great numbers are being persecuted and murdered. The U.S. Commission on International Religious Freedom (USCIRF), a federal entity, whose members are appointed by Obama, urged Obama to demand religious freedom for Christians with the Iraqi prime minister and he has, to this date, steadfastly refused. This is unacceptable considering the fact that we still have a sizable occupation force in Iraq and could move to intervene and do not. The slaughter of Christians in Nigeria has been met with indifference by Obama. 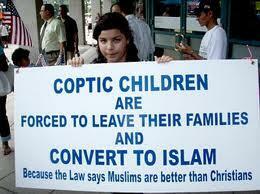 Instances of Christian persecution is rising at an alarming rate. In order to put on a good face, the Nigerian government forces Nigerian Christians, with signs of support, to line parade routes when public figures visit. Meanwhile, the increase in violence against Nigerian Christians is escalating at an alarming rate. In Egypt, the Muslim Brotherhood who were installed with the help of the Obama administration, who are also aligned with AL-Qaeda, are persecuting Coptic Christians in horrific ways and Obama “hears no evil, and sees no evil.” It is notable that Coptic Christian presence in Egypt predates the Muslim religion. The Hobby Lobby and Mardel bookstores sued the Kathleen Sebelius, Hilda Solis and Timothy Geithner who are the respective heads of Health and Human Services, the Labor Department and the Treasury Department for violation of their First Amendment Freedom of Religion Rights. The complainants stated that the Obamacare contraception mandate violates their First Amendment right to the free exercise of religion clause of the First Amendment because of Obamacare forces these businesses to financially support abortion or counseling for abortion which runs in opposition to their religious faith. The case of Hobby Lobby v. Kathleen Sebelius, the Obama administration is claiming that the First Amendment, which expressly denies the government the authority to prohibit the “free exercise” of religion, requires Christians to abhorrently violate their religious beliefs on matters involving the life and death of innocent babies. The Supreme Court refused to grant the injunction and have subjected the owners of these businesses to federal fines of $1.3 million per day for their refusal to include abortion drugs in their employee healthcare coverage. Obama’s minions further argue that they can force to act against their religion so long as the coercion is done under the color of law. 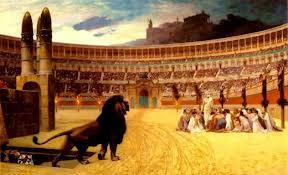 Therefore, the Supreme Court can now use a law to persecute Christians. I would like to welcome the Supreme Court to the former Soviet Union, they would have served Stalin well. As Supreme Commander of the military, Obama has encouraged/permitted the United States military to participate in the persecution of Christians. A recent Army briefing was given by Lt. Col. Jack Rich to a reserve unit in Pennsylvania which identified several organizations and movements as extremist groups. First on the list of his slides presented in the briefing listed evangelical Christians including Catholics, which was subsequently followed by Hamas, al-Qaida, Nation of Islam and the Ku Klux Klan. Lt. Col. Rich warned his subordinates to not back down from bad Christian behavior for “when they see behaviors which are inconsistent with Army values, don’t just walk by. Do the right thing before it becomes a problem.” Further. the warning has been given to flag Christians and put them on no buy lists for guns. Rich’s briefing dovetails with the same kind of anti-Christian rhetoric recently presented to Colorado law enforcement officials in La Junta, Colorado in which Christians were prominently displayed in as domestic terrorists if the take the Bible too literally. The labeling of of groups has occurred before and with very disastrous results. In Nazi Germany (July 1938), only a few months before Kristallnacht (i.e., the night of the broken glass) in which Jewish businesses were targeted by the infamous “Brown Shirts” for destruction, the notorious “J-stamp” was introduced on national ID cards and then later on passports. 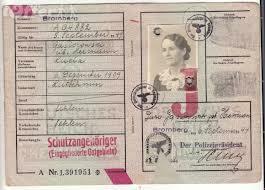 The use of the “J-stamp” ID cards by Nazi Germany preceded the yellow Star of David badges which led to the subsequent deportation of Gypsies, Jews, homosexuals and political dissidents to the infamous Nazi death camps. In Norway, where yellow cloth badges were not introduced, the J stamped ID card was used in the identification of more than 800 Jews deported to death camps in Eastern Europe. 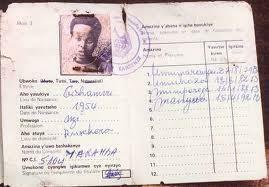 Tutsi’s were singled out through the use of identification cards, in Rwanda. They were the key factor in shaping, defining and perpetuating ethnic identity which ultimately led to subsequent ethnic cleansing. Once the 1994 genocide in Rwanda began, an ID card with the designation “Tutsi” constituted a death sentence at any checkpoint. No other factor was more significant in facilitating the speed and carnage of the 100 days of mass killing of an estimated one million people in Rwanda. Not taking a national ID will NOT fully protect America Christians. Christians do not need ID cards to identify them as an enemy of the new state. 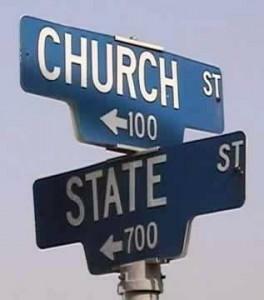 There are plenty of data bases containing Christians which contains their names and addresses that prominently appear on federal documents such as your tax returns in which Christians have listed their church related donations on their tax forms payable to the IRS every April 15th. Therefore Christians, your J-Card or Tutsi ID card is your tax return. Courtesy of the fact that your houses of worship have been compromised by being a 501(c)(3) tax-exempt organization you have a large bulls eye on your back. If your church is a 501(c)(3) organization, then your church has a significant financial motivation to not accurately interpret the true message of the Bible. The tax exempt status of being a 501(c)(3) organization is a significant cornerstone of this shift away from allegiance to God and towards worshiping our new Savior, the federal government. The love of money is root of all evil and if your church is a tax-exempt 501 (C) (3), then your Pastor and your church leadership cannot be trusted. Why? Because they will avoid saying anything controversial because under 501 (C) (3) regulations, a tax-exempt foundation cannot profess any political beliefs. Even if you did not claim religious donations on your tax forms, the chances are that your religious leader is very likely one of the religious leaders who do not truly serve God and are repeating the mantra of the government set forth by them by their membership in the Clergy Response Team which is controlled by DHS. 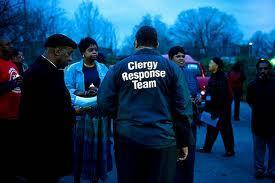 Do you think that members of DHS’s Clergy Response Team will hesitate to provide the names of their flock to the DHS when requested to do so? This country was founded on Christian principles and as Obama’s march towards tyranny continues, awake Christians such as Chuck Baldwin, will fundamentally oppose the demonically inspired New World Order. One quick reminder, do not fall for the false interpretation of Roman’s 13 which has been subverted to trick Christians into obeying the government in all matters. I have said it before and I will say it again, leave your 501 (C) (3) sell-out churches and form your private worship groups. The lions as represented by the DHS and their newly acquired 2.2 billion rounds of ammunition along with their 2700 armored personnel carriers await their orders to begin the roundup and the subsequent feeding Christians to the metaphorical lions. There can be no question that Obama is the lion-master of this newly implemented purge and if he gets his way, Christians will continue on the path towards being the most endangered species on the planet. I do not see a cross over the structure to the right of these words, do you? This video news clip ties in well with chapter 7, on the coming antichrist. “Economic Martial Law Will Be Declared"
Do you know who Juval Aviv is? He was Golda Meir's bodyguard and the Israeli Agent upon whom the movie 'Munich' was based. Golda Meir appointed him to track down and bring to justice the Palestinian terrorists who took the Israeli athletes hostage and killed them during the 1972 Munich Olympic Games. In a lecture in New York City a few weeks ago, Aviv shared information that EVERY American needs to know, but that our government has not yet shared with us. • Aviv predicted the London subway bombing on the Bill O'Reilly show on 'Fox News', stating publicly that it would happen within a week. At the time, O'Reilly laughed and mocked him, saying that in a week he wanted Aviv back on the show. Unfortunately, within a week the terrorist attack had occurred. I think we all know what happened, right? • Congress has since hired Aviv as a security consultant. Aviv predicts that the next terrorist attack on the U.S. will occur within the next few months. Forget hijacking airplanes, because he says terrorists will NEVER try hijacking a plane again as they know the people on board will never go down quietly again. Aviv says that our airport security is a joke 'that we have been reactionary' rather than proactive in developing strategies that are truly effective. Example 1: Because an idiot tried to light his shoe on fire, now everyone has to take off their shoes. Example 2: A group of idiots tried to bring aboard liquid explosives, and now we can't bring liquids on board. He says he's waiting for some suicidal maniac to pour liquid explosive on his underwear; government security will then have us all traveling naked! Last but not least, our airport security looks for metal, but the new explosives are made of plastic! 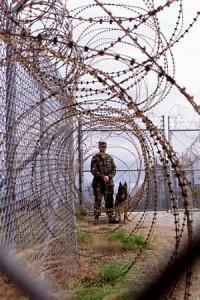 Currently, our government only focuses on security when people are heading to the gates. Aviv says that if a terrorist attack targets airports in the future, they will target busy times on the front end of the airport when/where people are checking in. For example, it would be easy for someone to take two suitcases of explosives, walk up to a busy check-in line, ask a person next to them to watch their bags for a minute while they run to the restroom, and then detonate the bags BEFORE security even gets involved. Aviv says the next terrorist attack here in America is imminent and will involve suicide bombers and non-suicide bombers in places where large groups of people congregate, such as Disneyland, Las Vegas casinos, shopping malls, subways in rush hour, train stations, etc., as well as in rural America this time (Wyoming, Montana, etc.). The attack will be characterized by simultaneous detonations around the country involving at least 5-8 cities, including rural areas. Aviv says terrorists won't need to use suicide bombers in many of the larger cities, because at places like the MGM Grand in Las Vegas, they can simply valet park a car loaded with explosives and walk away. Aviv says all of the above is well known in intelligence circles, but that our U.S. Government does not want to 'alarm American citizens' with the facts. The world, however, is soon going to become 'a different place', Aviv says, where issues like 'global warming' and political correctness will have become totally irrelevant. On an encouraging note, Aviv says that Americans don't have to be concerned about being nuked. He says the terrorists who want to destroy America will not use sophisticated weapons. Instead, they like to use suicide, as it's cheap, it's easy, and it's effective and they have an infinite abundance of young, ignorant, fanatic militants more than willing to 'go see Allah'. Aviv also says the next level of terrorists over which America should be most concerned will not be coming from abroad. They will instead be 'home grown' meaning they will have attended and been educated in our own schools and universities right here in the U.S. These young terrorists will be most dangerous because they will know our language and will fully understand the habits of Americans; but that we Americans won't know/understand a thing about them. So, what can America do to protect itself? From an intelligence perspective, Aviv says the U.S. needs to stop relying on satellites and technology for its intelligence. Instead, we need to follow Israel's, Ireland's and England's hands-on examples of human intelligence, both from an infiltration perspective as well as to trust 'aware' citizens to help. We need to engage and educate ourselves as citizens; however, our U.S. Government continues to treat us, its citizens, 'like babies'. Our government thinks we can't handle the truth' and are concerned that we'll panic if we understand the realities of terrorism. Aviv says this is a deadly mistake. Aviv recently created/executed a security test for Congress by placing an empty briefcase in five well-traveled spots in five major cities. The results? Not one person called 911 or sought a policeman to check it out. In fact, in Chicago, someone tried to steal the briefcase! But, unfortunately, America hasn't been 'hurt enough' yet by terrorism for their government to fully understand the need to educate its citizens or for the government to understand that it's the citizens who are, inevitably, the best first-line of defense against terrorism. He stresses the importance of having a plan that's agreed upon within your family, to respond to in the event of a terrorist emergency. He urges parents to contact their children's schools and demand that the schools, too,develop plans of actions, as they do in Israel. He says we should all have a plan that is easy enough for even our youngest children to remember and follow. Does your family know what to do if you can't contact one another by phone? Where would you gather in an emergency? Aviv says that the U.S. Government has in force a plan that, in the event of another terrorist attack, will immediately cut-off EVERYONE's ability to use cell phones, as this is the preferred communication source used by terrorists and is often the way that their bombs are detonated. How will you communicate with your loved ones in the event you cannot use phones, internet? Bottom line, you need to have a plan! If you believe what you have just read, then you must feel compelled to send it to every concerned parent or guardian, grandparents, uncles, aunts, whatever and whomever. Nothing will happen if you choose not to do so, but in the event it does happen, I promise this particular email will haunt you. Don't be in the category of saying, "I should have sent this to...", but I didn't believe it and just deleted it as so much trash. Coming to a nabourhood near you. The story below is not for the faint of heart. I had serious second thoughts about putting this story on my site. In the end, the lessons to be learned outweighed the course reality of what is contained in this story. I also had to weigh the fact that my web site is called “Tribulation Truth” This story does not sugar coat what it will be like going through 3 1/2 years of the Great Tribulation and you deserve hearing the truth. 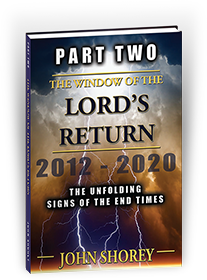 If you believe that the rapture will take you home to heaven before things get really bad, then you don’t need to read this story. You can keep going to happy church, were your pastor preaches feel good sermons and does not warn you of the hard times of Great Tribulation. If you believe as I do that the Church will go through rough times leading up to the forming of a one world government, with this happening before the Great Tribulation even starts. Then when this one world government is formed, the antichrist will rise to power and shortly thereafter the church will go through 3 ½ years of war on the saints as taught in Daniel and the book of Revelation. If this is you, then you should read this, as it is a good illustration of what is to come. You may even learn some tips of things you can do to prepare for these hard times to come. Please remember that this story has no Christian perspective. We have the advantage of God Grace that will sustain us no matter what we have to go through. The following story has been translated more than once to reach us in our language. This story came out of war torn Bosnia. Some things may have been lost in the translation, some things toned down a bit and Some things, especially the terror of war, are never lost in translation: the actual author to this story is unknown. I am from Bosnia. You know, between 1992 and 1995, it was hell. For one year, I lived and survived in a city with 6,000 people without water, electricity, gasoline, medical help, civil defense, distribution service, any kind of traditional service or centralized rule. Our city was blockaded by the army; and for one year, life in the city turned into total crap. We had no army, no police. We only had armed groups; those armed protected their homes and families. After a month or two, gangs started operating, destroying everything. Hospitals, for example, turned into slaughterhouses. There was no more police. About 80 percent of the hospital staff were gone. I got lucky. My family at the time was fairly large (15 people in a large house with six pistols and three AK47’s). and we survived , most of us, at least. Arms, ammunition, candles, lighters, antibiotics, gasoline, batteries and food. We fought for these things like animals. In these situations, it all changes. Men become monsters. It was disgusting.Strength was in numbers. A man living alone getting killed and robbed would be just a matter of time, even if he was armed. Today, my family is well-prepared, I am well-armed. I have experience. It does not matter what will happen: an earthquake, a war, a tsunami, aliens, terrorists, economic collapse, uprising. The important part is that something will happen. The city was divided into communities along streets. Our street (15 to 20 homes) had patrols, five armed men every week to watch for gangs and for our enemies. All the exchanges occurred in the street. About 5 kilometers away was an entire street for trading, all well-organized; but going there was too dangerous because of the snipers. You could also get robbed by bandits. I only went there twice, when I needed something really rare. Nobody used automobiles in the city: The streets were blocked by wreckage and by abandoned cars. Gasoline was very expensive. If one needed to go somewhere that was done at night. Never travel alone or in groups that were too big — always two to three men. All armed, travel swift, in the shadows, cross streets through ruins, not along open streets. To imagine the situation a bit better, you should know it was practically a return to the Stone Age. For example, I had a container of cooking gas. But I did not use it for heat. That would be too expensive! I attached a nozzle to it, (I made it myself) and used it to fill lighters. Lighters were precious. If a man brought an empty lighter, I would fill it; and he would give me a tin of food or a candle. I was a paramedic. In these conditions, my knowledge was my wealth. Be curious and skilled. In these conditions, the ability to fix things is more valuable than gold. Items and supplies will inevitably run out, but your skills will keep you fed. I wish to say this: Learn to fix things, shoes or people. My neighbor, for example, knew how to make kerosene for lamps. He never went hungry. Today, I know everything can collapse really fast. I have a stockpile of food, hygiene items, batteries — enough to last me for six months. I live in a very secure flat and own a home with a shelter in a village 5 kilometers away. Another six-month supply there, too. That’s a small village; most people there are well-prepared. The war had taught them. I have four weapons and 2,000 rounds for each. I have a garden and have learned gardening. Also, I have a good instinct. You know, when everyone around you keeps telling you it’ll all be fine, but I know it will all collapse. I have strength to do what I need to protect my family. Because when it all collapses, you must be ready to do to take drastic measures to protect your family. Surviving on your own is practically impossible. (That’s what I think.) Even when you’re armed and ready, if you’re alone, you’ll die. I have seen that happen many times. Families and groups, well-prepared, with skills and knowledge in various fields: That’s much better. That depends. Those who plan to live by theft, all they need is weapons and ammo. You must plan a defense from these who will come to get what you have prepared. You will need more food, fuel, good water, (have water filters),hygiene items, batteries, little trading items (knives, ammo,lighters, flints, soap). As for me, a supply of hygiene items is perhaps more important than food. You can shoot a pigeon. You can find a plant to eat. You can’t find or shoot any disinfectant. Disinfectant, detergents, bleach, soap, gloves, masks. First aid skills, washing wounds and burns. Perhaps you will find a doctor and will not be able to pay him. Learn to use antibiotics. It’s good to have a stockpile of them. You should choose the simplest weapons. I carry a Glock 45. I like it, but it’s a rare gun here. So I have two other pistols for backup. I don’t like Kalashnikov’s AK 47’s, but again, same story. Everyone has them; so do I. We usually collected rainwater into four large barrels and then boiled it. There was a small river, but the water in it became very dirty very fast. It’s also important to have containers for water: barrels and buckets. Yes. I personally traded all the gold in the house for ammunition. Sometimes, we got our hands on money: dollars and Deutschmarks. We bought some things for them, but this was rare and prices were astronomical. For example, a can of beans cost $30 to $40. The local money quickly became worthless. Everything we needed we traded for through barter. Food and ammo was like gold. At this time, I was not a survivalist. We had no time to prepare — several days before the SHTF, The politicians kept repeating over the TV that everything was going according to plan, there’s no reason to be concerned. When the sky fell on our heads, we took what we could. In my case, there was a man who needed a car battery for his radio. He had shotguns. I traded the battery for both of them. Sometimes, I traded ammunition for food, and a few weeks later traded food for ammunition. Never did the trade at home, never in great amounts. Few people knew how much and what I keep at home. The most important thing is to keep as many things as possible in terms of space and money. Eventually, you’ll understand what is more valuable. Note: I’ll always value weapons and ammunition the most. Second? Maybe gas masks and filters. I think defense is very important, but it must be carried out unobtrusively. If you are in a city and the SHTF comes, you need a simple, non-flashy place, with lots of guns and ammo. How much ammo? As much as possible. Make your house as unattractive as you can. Right now, I own a steel door, but that’s just against the first wave of chaos. After that passes, I will leave the city to rejoin a larger group of people, my friends and family. There were some situations during the war. There’s no need for details, but we always had superior firepower and a brick wall on our side. We also constantly kept someone watching the streets. Quality organization is paramount in case of gang attacks. Shooting was constantly heard in the city. Our perimeter was defended primitively. All the exits were barricaded and had little firing slits. Inside we had at least five family members ready for battle at any time and one man in the street, hidden in a shelter. We stayed home through the day to avoid sniper fire. At first, the weak perish. Then, the rest fight. There was no organized army; every man fought. We had no choice. Everybody was armed, ready to defend themselves. You should not wear quality items in the city; someone will murder you and take them. Don’t even carry a “pretty” long arm, it will attract attention. Let me tell you something: If SHTF starts tomorrow, I’ll be humble. I’ll look like everyone else. Desperate, fearful. Maybe I’ll even shout and cry a little bit. Pretty clothing is excluded altogether. I will not go out in my new tactical outfit to shout: “I have come! You’re doomed, bad guys!” No, I’ll stay aside, well-armed, well-prepared, waiting and evaluating my possibilities, with my best friend or brother. Super-defenses, super-guns are meaningless. If people think they should steal your things, that you’re profitable, they will. It’s only a question of time and the amount of guns and hands. We used shovels and a patch of earth near the house. Does it seem dirty? It was. We washed with rainwater or in the river, but most of the time the latter was too dangerous. We had no toilet paper; and if we had any, I would have traded it away. It was a “dirty” business. Let me give you a piece of advice: You need guns and ammo first — and second, everything else. Literally everything! All depends on the space and money you have. There were many skin diseases and food poisonings… nothing to it. Many used local plants and pure alcohol — enough for the short-term, but useless in the long term. Hygiene is very important, as well as having as much medicine as possible — especially antibiotics.